Thousands of Brazilians could be left without healthcare as Cuba begins pulling out 8,400 doctors who have been stationed in the country's smallest and remotest towns for the past five years. In an official statement dated November 14, Havana announced it will end its agreement with Brazil as a response to president-elect Jair Bolsonaro's public comments about the program, which it deemed “threatening and depreciative”. On multiple occasions over the course of the presidential campaign, Bolsonaro has disputed the skills of the Cuban doctors and criticized the agreement's terms. Launched in 2013 by former president Dilma Rousseff, the program “Mais Médicos” (More Doctors) sought to widen healthcare access in Brazil's most vulnerable towns, some of which never had a resident doctor before. It opened thousands of job posts in those areas, offering salaries of around 3,500 dollars per month plus a stipend for housing and meals (for comparison, Brazil's minimum wage is currently around 300 dollars per month). The program gave preference to Brazilian doctors, but after they've signed up for only six percent of the job openings, the remaining vacancies were filled by Cuban doctors who were brought in through a deal signed by Brazil's Ministry of Health and Havana and mediated by WHO's Pan American Health Organisation. By the agreement's terms, Brazil doesn't hire the Cuban doctors directly: instead, it pays the Cuban government, who recruits, manages and compensates them as civil servants — with a salary that is around 25 percent of what Brazil would pay them had they been hired individually. Bolsonaro himself, at the time a congressman at the Chamber of Deputies, went to the Supreme Court demanding the program's suspension. Both during his time as congressman and the presidential race, he repeatedly said that the program was “slave work”. He's promised to send the doctors back to Cuba with the “strike of a pen” so that they could assist the “the members of the Workers’ Party who will soon be sent to Guantanamo”. In a TV interview in July 2018, he said that “no one has any proof of whether [the Cuban doctors] have any knowledge of medicine”. The Brazilian people — who made the “More Doctors” program a success, who trusted the Cuban doctors from the beginning, who appreciated the respectful, sensitive and professional treatment they received — will understand who is responsible for our doctors being unable to continue providing support in the country. Bolsonaro responded on his social media channels that Havana simply didn’t want to accept new terms: to relay the full salary back to its doctors and that they'd validate their medical diplomas in Brazil through an exam. He called it an “irresponsible decision by the Cuban dictatorship” for disregarding the impact it would have on the lives of Brazilians. As journalist Leonardo Sakamoto writes, this could lead to the “first social crisis in Bolsonaro’s government”, and one that's unfolding even before he takes office. 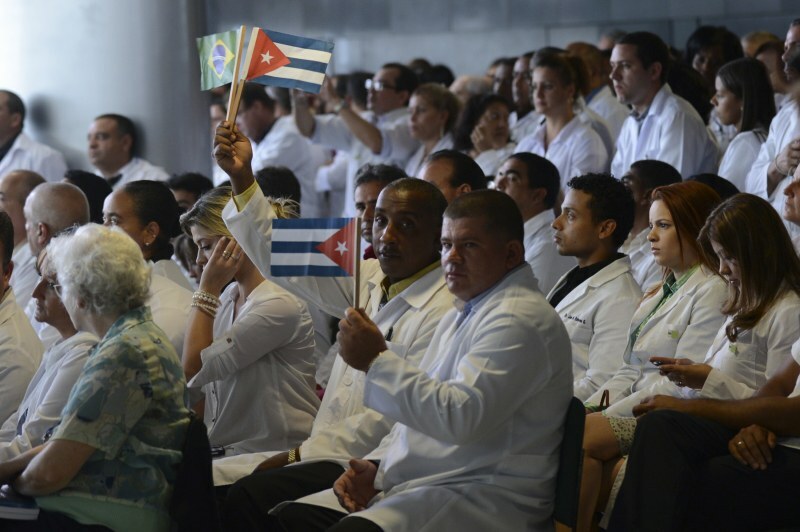 Cubans make up 45 percent of the More Doctors professionals. Around 28 percent of Brazil's cities served by the program only count with one resident Cuban doctor. 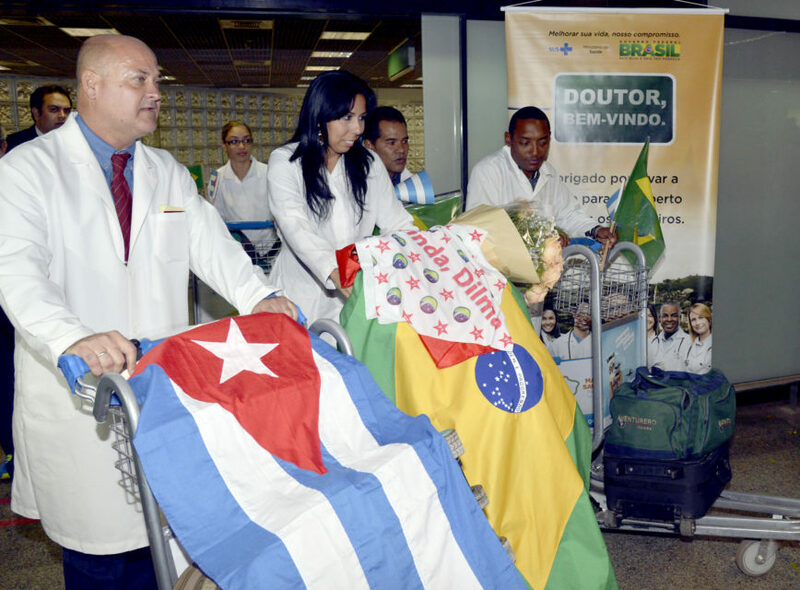 Around 90 percent of the doctors working in indigenous areas in Brazil are Cubans. Small towns in Brazil have always struggled to attract medical professionals, who complain about the lack of infrastructure. Brazil also doesn't train enough doctors to serve its 200-million population. The small socialist nation, on the other hand, has doctors to spare. Currently, Cuba has 50,000 health workers stationed in 67 countries. Leasing of medical experts is Cuban's main export: they generate 11 billion US dollars in revenue to the state per year, more than tourism does. Cuba has sent its first medical brigade abroad in 1963, after the independence war in Algeria. Since then, according to a story by Radio Ambulante, almost 500,000 Cuban physicians have worked in Africa, Asia, and the Americas. Over the years, a few Cubans have told the Brazilian press that they felt “exploited”. Some have joined lawsuits against both governments as well as the WHO. Others have reported threats made by their government. 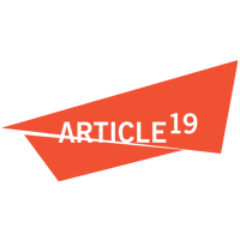 However, many said in a podcast by Radio Ambulante that, even with Havana's retention of 75 percent of the wages, they don't think the salary is unfair. There has been an improvement on the quality of the services offered to the population. Can you imagine a community that never had a doctor? 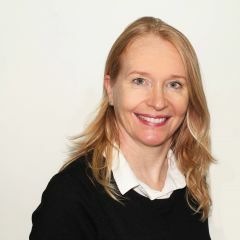 With the rising numbers of appointments in areas that were complete unassisted before, it's now possible to identify and treat diseases faster, avoiding unnecessary hospitalizations. As with many social programs in Brazil, More Doctors did have its gray areas, but it also dramatically changed public health in regions that were completely forgotten by the Brazilian state. Perhaps the greatest challenge so far for the next government-elect is to learn from its mistakes and where it got it right. How, and if, Bolsonaro’s government will ensure healthcare is available in those regions is still to be seen.